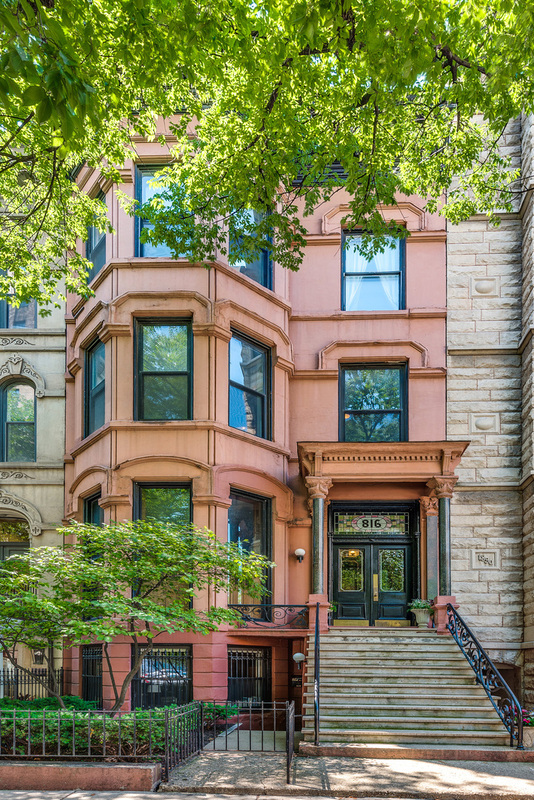 Located in the middle of one of The Gold Coast's prettiest historic brownstones on tree-lined Dearborn Street, this unit was just completely-renovated to sell. You first walk through brand new, ornate double mahogany doors and see just about everything was updated with the exception of three original 19th century working fireplaces. 6" rift sawn white oak hardwood floors throughout, 10.5' ceilings with triple moulding, custom lattice on a family room wall & brand new built-ins throughout. Marble countertops with a waterfall edge in the kitchen with a six burner Fisher & Paykel range, a custom fabricated hood and a Liebherr paneled refrigerator. There's a W/D in the master closet and new 8' solid core doors throughout. 816 N Dearborn also has a charming common patio with a grill and a fountain. Washington park is less than 1/2 block away for dog owners, Red Line a block away, Michigan Ave. 2 blocks further & the rest of The Gold Coast is right at your fingertips. Parking available. Directions Chicago to Dearborn. Dearborn runs one way north. Property information last modified by seller on Saturday, September 08, 2018, 10:23 AM CDT. Information Deemed Reliable But Not Guaranteed. Unauthorized duplication, use, or linkage is prohibited. The information on this web site is for personal, non-commercial use and may not be used for any purpose other than to identify prospective properties consumers may be interested in purchasing. Monthly Payment Calculator results are for illustrative purposes only, not a financing opportunity; calculations assume a 30-year fixed-rate mortgage and do not include closing and other costs. Property Tax on NEW properties is estimated at 1.5% of Listing Price for payment calculation purposes; actual value may be higher or lower.